1. A 7-year-old singer stole the show at an LA Galaxy game this week as she rocked our nation's National Anthem! Malea Emma Tjandrawidjaja was introduced as "tiny but mighty" by the team's PA announcer as she took the field. 2. Drew Brees, of the New Orleans Saints, passed up Brett Favre for most career completions last weekend. There's another milestone in the horizon, Brees is only 417 yards away from Peyton Manning's mark of 71,940 career passing yards. The best part about this accomplishment is how Brees views it, "I hope there's a lot more coming, but I just think about all of the people that had a hand in that," Brees said after the win. "A lot of hands have caught those passes, and a lot of guys have blocked to make those happen. They all are a part of this, absolutely." 3. Last week, Seattle Mariners Mitch Haniger performed a perfect slide around the tag at home against the Astros. 4. Tiger is performing like Tiger again, winning the 2018 PGA Tour Championship. This was Tiger's first Major win in over 5 years, after undergoing 4 surgeries to overcome back and nerve pain. 5. 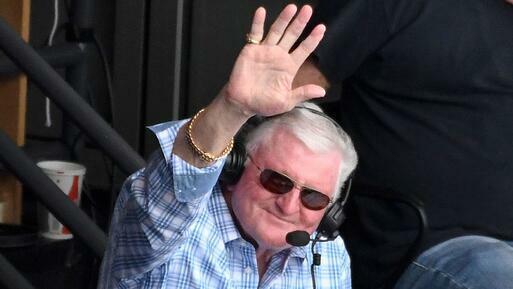 After 34 years in the Chicago White Sox booth, broadcaster Ken "Hawk" Harrelson is retiring. His 'grand farewell' took place on Sunday during his last 'crosstown showdown' broadcast when the White Sox played the Chicago Cubs at home. While Harrelson won't be in the booth, he'll stick around for a couple more seasons as the team ambassador through 2020. That's when he'll hit another historical milestone when he becomes only the fourth person to spend part of eight decades in the major leagues.